Jarrod put the big boys in bed and then promptly went into a coma, leaving me to deal with our littlest gremlin on my own. I just spent an hour and a half putting my two-year-old to bed. Like at least 30 times. Because that child is stub-born. I have no idea where he got that from. I learned on the Super Nanny that if you keep putting them back in bed a billion times, eventually they give up. But she conveniently cuts out the footage of how many hours the parents spend actually doing this. It's like when they time-lapse the life cycle of a plant. They trick you into thinking you could have a full-grown sunflower in like 15 seconds. I've been happily making fun of Starbucks for years. I don't even call them Starbucks. In my house, they are affectionately referred to as Stinky-Bucks, the place where bad coffee is too expensive. Then I made the mistake of finding a drink there that I like (iced caramel machiatto) and next thing I knew I was stuck in their sticky little stinky web just like the rest of America. But I've decided I'm getting off the juice, man, and I refuse to go there any more. I gotta stop drinking my calories. I'd much rather have a cookie. Only, getting off the stuff is not so easy. I literally had to talk to myself OUT LOUD today on more than one occasion to keep the car from veering off the road and over the curb and just crashing through Starbucks' drivethrough. I wanted an iced coffee bad. But I prevailed! And I did not purchase any overpriced and overrated coffee today. However, I'm brewing up some iced coffee in my fridge tonight so that we will not have any crazy-lady episodes tomorrow. So, check out what I saw on the magazine rack at Walmart. Did you know there was a magazine devoted solely to the discussion of your gluteus maximus? Now, I'm all for boosting my caboose and looking hot from behind, but would I want a magazine delivered each month with 100 pages on the subject? You know what else was confusing? Can you read it? 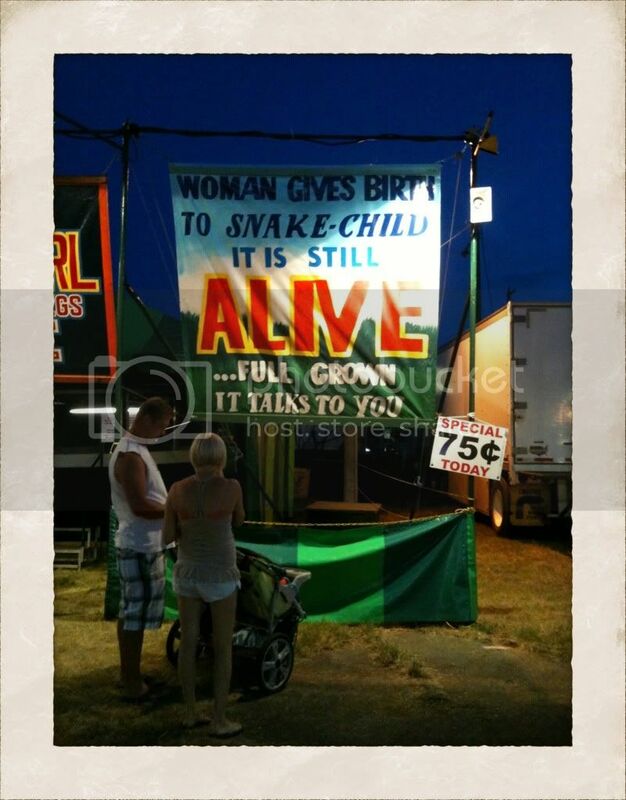 "Woman gives birth to SNAKE-CHILD~ it is still ALIVE... full grown it talks to you"
And for only 75 cents I could have seen this wondrous snake-child for myself. But that felt a little like being a peeping-tom. I prefer to give snake children their privacy, you know? And besides, I wasn't so much interested in the snake-child as in the woman who gave birth to the snake-child. They should have put her on display, cuz that's just wrong. This week I had the very rare treat of getting a babysitter in the middle of the day and going out to (surprise!) coffee with a friend. We sat and talked for a couple of hours and then we browsed around in some of the fun and unique shops downtown. My town is very touristy so we have lots of shops filled with random stuff no one local actually buys. Nothing says "I've been to Idaho" quite like a creepy and strangely realistic paper mask, right? And now I would like to show you something. No, that is not a green turnip. 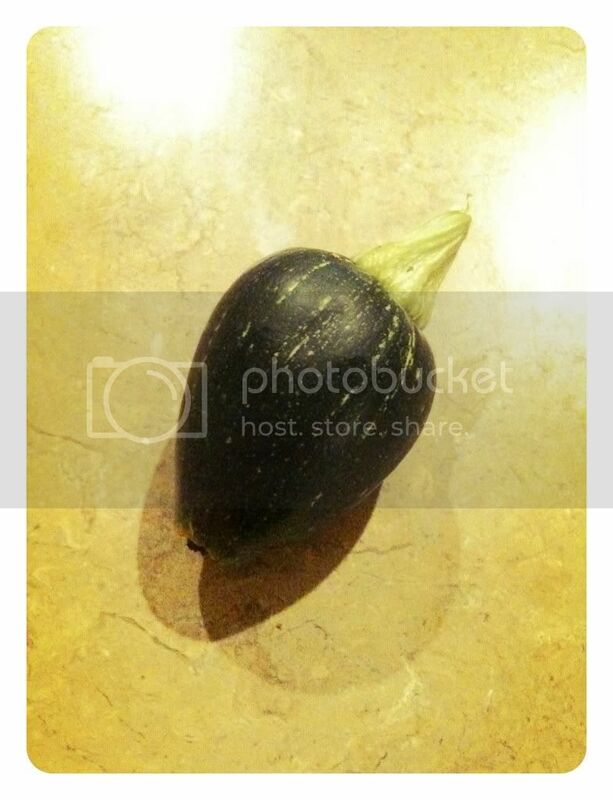 That is a zucchini from my garden. They all look like little green turnips. If this keeps up I'm definitely going to get my own booth at the Farmer's Market so that I may share my bounty with the whole town. I've been trying to get back in the habit of taking my vitamins lately, but my bottle was pretty much empty. Jarrod's, however, was mostly full. I did a lot of Googling to try and figure out if there was anything in there that is going to like.... make me grow a prostate or something, but I was unsuccessful. 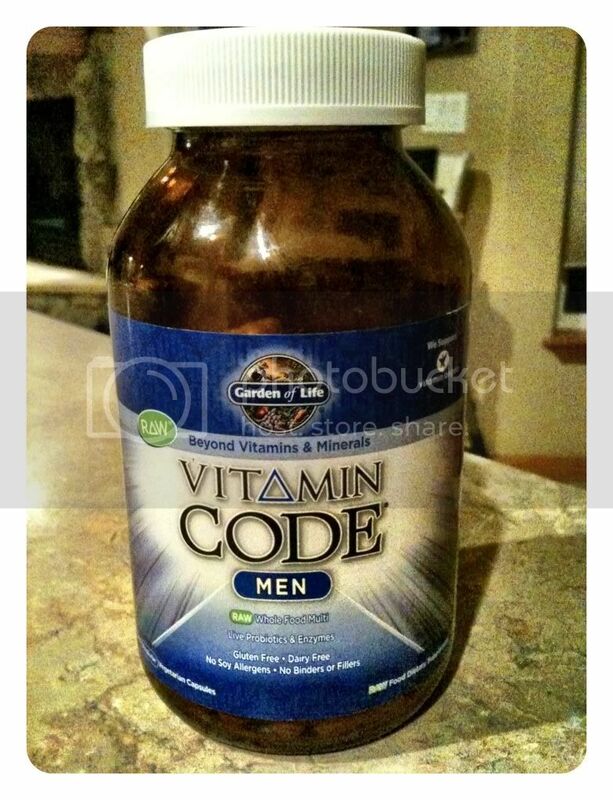 Apparently I'm the only woman who has ever wondered if it's safe to take Vitamin Code for Men. If my voice deepens or I start looking burly, please let me know, m'kay? So what's new with you? 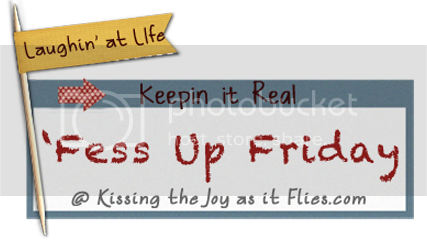 I want to hear your 'fess ups! Snake child?! What in the world!? Too bizarre. So, I am WIDE awake and I can't link up to your post yet, because it isn't 12:01 in Idaho yet. oh yeah... it's the tea. That coffee looks Deeee-licious. I saw the post where the pioneer woman shows how she brews it... it is like an art form. Oh. my. word. I'm totally loopy...I have to go to bed. Firstly, I am glad you keep your car away from Stinky bucks yesterday or else you would have rear ended me in line! Secondly, I did a little search on the world's smallest woman that was apparently in another booth at the fair and I guess she is totally legit. Trent researched the snake lady and to our total shock, she is not real so it is good you saved your $0.75 so that next year you can see the tiny lady. Thirdly, those masks are freaky. oh how i LOVE iced caramel machiatto's my absolute favorite! Did you JUST find Caramel Macchiato?? Girl, that has been my downfall drink for years!! (even before I really drank coffee!) 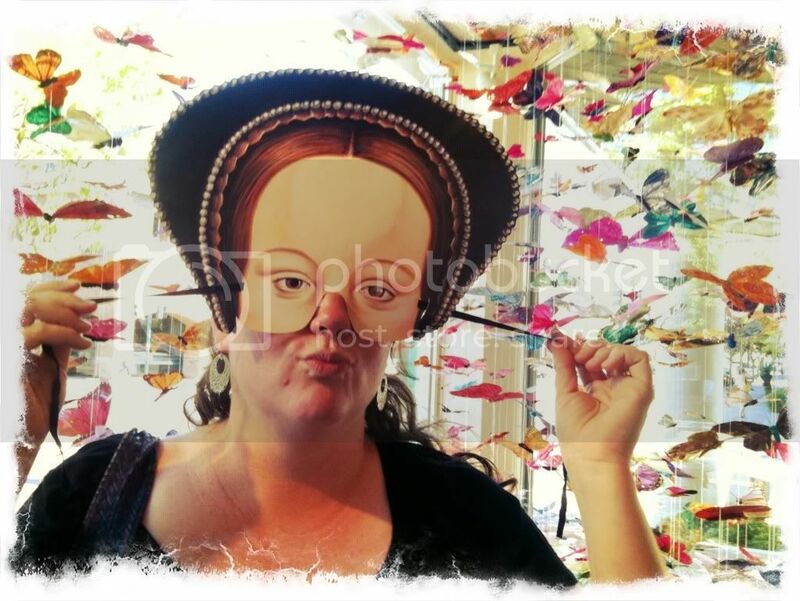 That picture of Con as the Elizabethan princess is hilarious! Lots of fun. PDub's coffee is bliss. I have half a gallon left in my fridge. Oh, and get the sweetened condensed milk. Bliss. Not sure how good it is on the waistline, but I'm sure a TON better than FiveBucks's stuff. The male vitamins, I'm pretty sure give you chin hair. Like a goat. Pretty sure. I love the funny-shaped veggies. 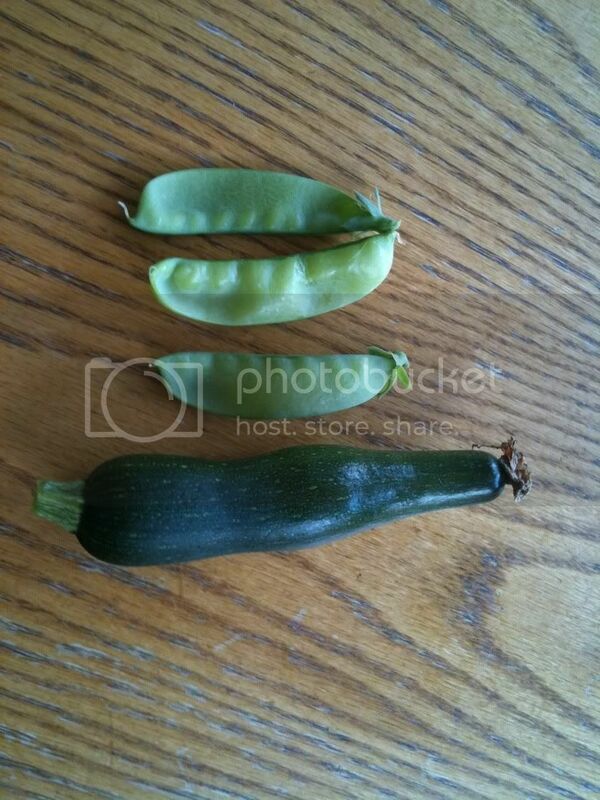 Wow, it's been a weird summer for growing things. I have pumpkins that sure don't look like pumpkins. I'm still wondering what they might be. Thanks for the fun post. But hilairously enough, this post didn't! 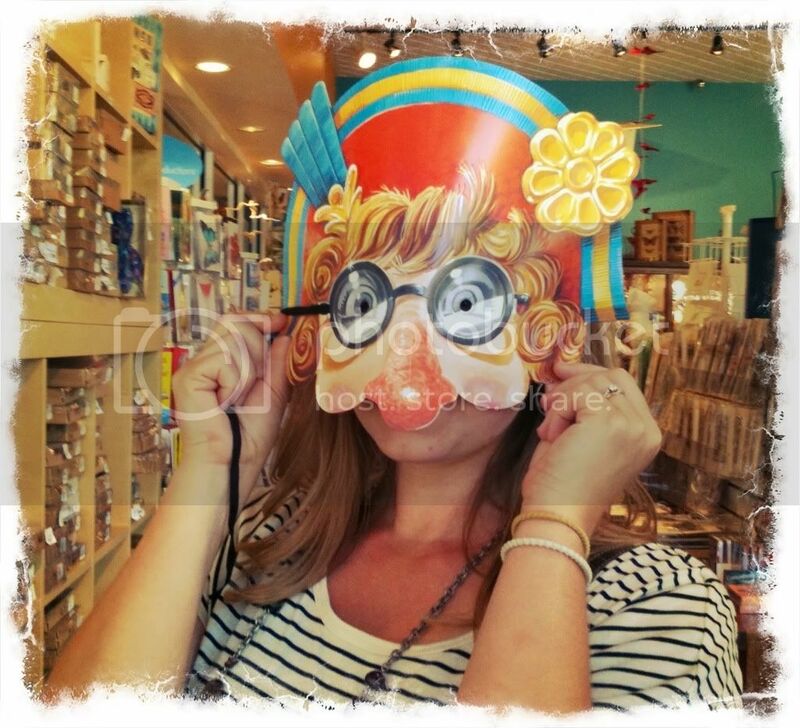 I am coming to Idaho just so I can buy one of the masks! I just stopped drinking coffee cold-turkey last week. It only had a headache for 4 days. What was I thinking! But now I am free, for a while.